In the new Palazzo S32 in via Filippo Sassetti 32, the leading Italian operators in Italy will have the opportunity to work together to foster the emergence of industrial and commercial collaboration, attract new investment and boost the development of the sector. Milan, 26 September 2017 – The inauguration of the Milan Fintech District, the first Italian urban area used for the operations of the most advanced financial sector companies, which brings together startups, entrepreneurs, financial institutions, investors, and universities, was inaugurated today. The aim is to foster the future financial industry’s growth and the growth of companies in the industry. The Fintech District is located in the new Palace S32 (via Filippo Sassetti 32). It is a hub where the leading Italian operators in Italy will have the opportunity to work together to foster the emergence of industrial and commercial collaboration, attract new investment and boost the growth of the FinTech sector, in the wake of other experiences already international levels such as Level39 in London or Station F in Paris. To this end, the spaces have offices and coworking to allow companies and startups to locate their activities steadily. The FinTech district of the city of Milan is promoted by Sellalab, the innovation center of the Banca Sella Group, and by Copernico, the platform of workspaces that encourages smart working. Currently, they have joined the Fintech District with more than thirty startups and corporations operating in several sectors including crowdfunding, p2p lending, blockchain and cryptocurrencies, robo-advise. 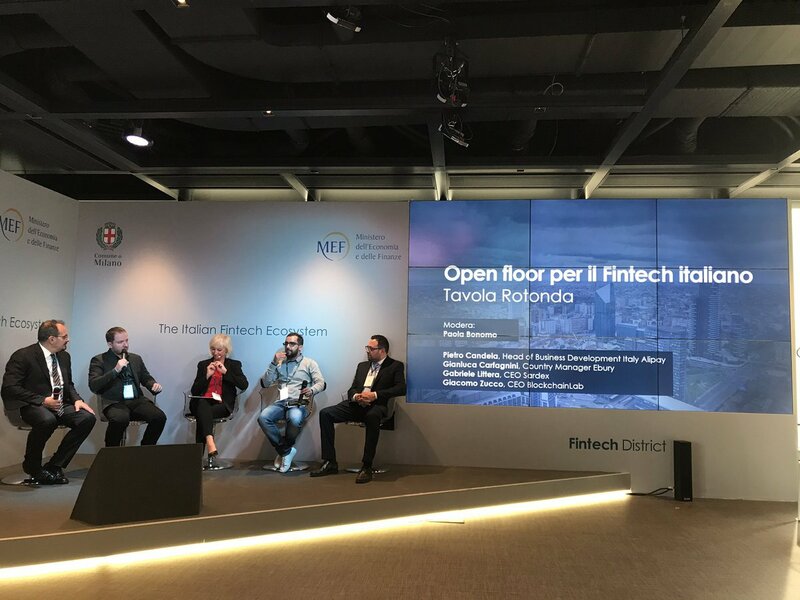 The opening of the FinTech District is another example of the commitment shown by Italy and the city of Milan in particular to attracting players in the financial sector and consolidating its position as a European financial hub. The Milan European Financial Hub Committee continues to promote knowledge of the reforms and the new business environment in the city.